The twin-engine H145 was chosen thanks to its exceptional HEMS heritage and safety record with its BK117 and EC145 predecessors. Offering the largest cabin in its class and unbeatable payload, the H145 is perfectly suited for STARS' mission requirements. The H145, with HEMS interior, will support STARS' highly skilled professionals in providing a safe, rapid, highly specialized emergency medical transport for the critically ill and injured, many of which are located in rural areas. "The impressive new H145 fleet is a generational investment in our future, helping us continue to provide critical care services for decades to come," said Andrea Robertson, President and Chief Executive Officer of STARS. "A unified fleet is considered best practice in terms of safety, fleet management, dispatch flexibility, and cost-effectiveness." The first tranche of H145s will be delivered in 2019 and will be based out of STARS' Calgary, Alberta base. "STARS air ambulance has set a fantastic record and example for EMS operations, not only in Western Canada but across the country," said Romain Trapp, President of Airbus Helicopters Canada. "We thank STARS for entrusting Airbus and the H145 to support their life-saving operations. We look forward to accompanying STARS on their journey to serve patients in Western Canada for generations to come." 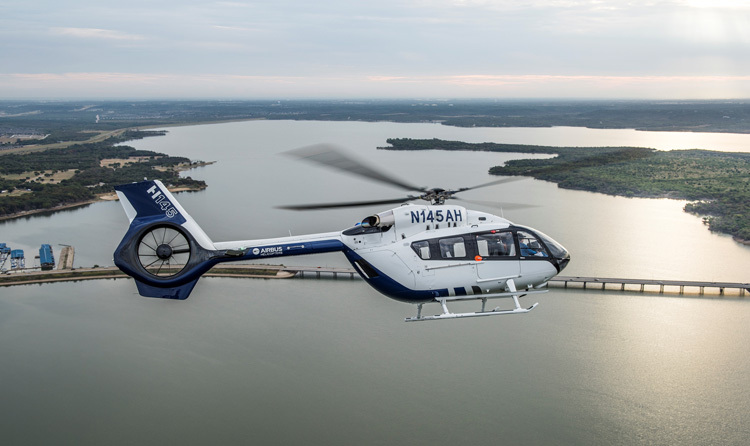 Airbus' H145 is Transport Canada Civil Aviation (TCCA) certified and is the latest member of its 4-ton-class twin-engine rotorcraft product range. To date, the global H145 fleet has achieved more than 100,000 flight hours since entry into service in 2015, with more than 200 units delivered. The helicopter is easily customized for intensive care transport, due to its easy and safe loading/unloading of patients through wide side sliding doors and large rear clamshell doors. The H145's spacious, unobstructed cabin provides full body access and greater comfort for the medical crew, and its extremely low external sound levels allow neighbourhood-friendly operations around hospitals and in urban areas.